Starting with ULRS 2.24, a 4 characters display can be used to show the RSSI value. Connection : it only requires 4 wires to the I²C port of the ULRS, for power (3.3V, GND) and data (SDA, SCL). See the below schematic but check the pins naming which can differ for this module. Notice that several modules can be connected on the same I2C bus. Usage : Depending on the channel 16 position (3-way switch), the display will show the RSSI value in percentage, in dBm or as a raw value. In the last releases this feature was deactivated due to lack of program memory. 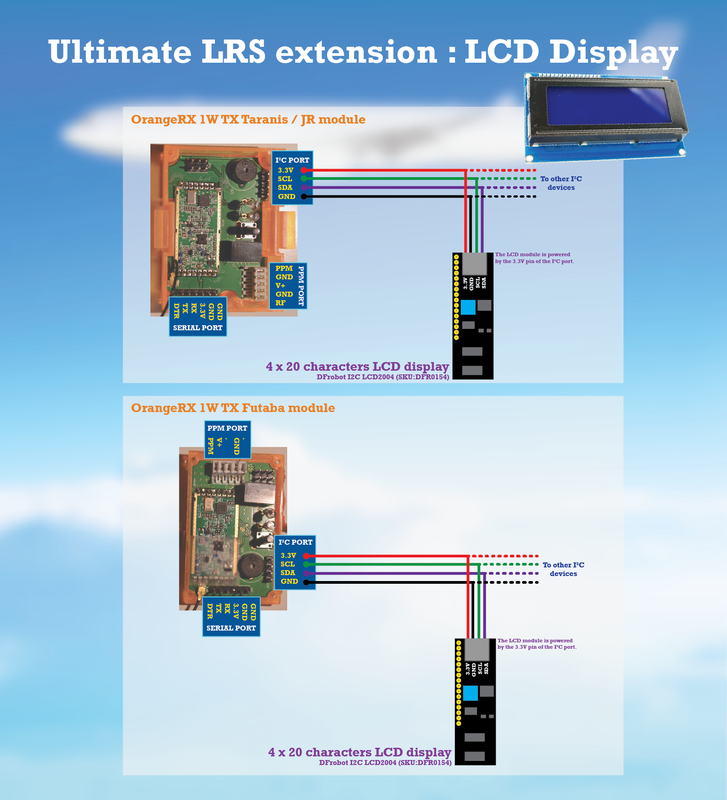 Starting with ULRS beta 2.23, a 4×20 characters LCD screen can be connected on the I²C port. Hardware : DFRobot (link) or this $8.99 clone. Connection : it only requires 4 wires to the I²C port of the ULRS, for power and data. Remark about power supply : if powered from I²C port as proposed on the schematic below, the contrast is poor and has to be adjusted to the limit (with the potentiometer on the backside of the LCD module). 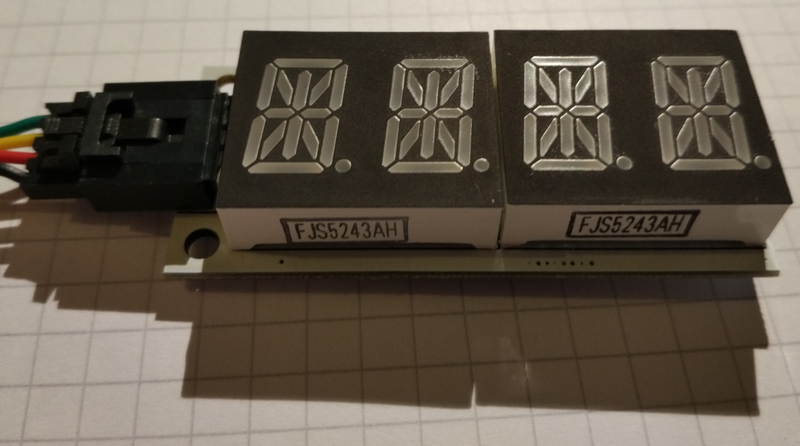 For a better readability, it’s recommended to power the LCD module with 5V from the ESC, and not from 3.3V from the I²C port. In this case the contrast and readability are perfect.